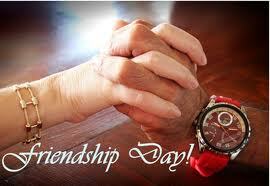 wish all of a Happy Friendship Day. The tradition of observing Friendship Day began in 1935 when Congress declared that the country would dedicate a day in honor of friends and celebrate it on the first Sunday of August annually. 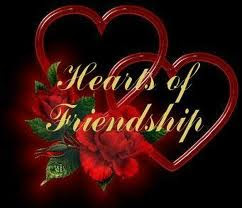 Since then, this event has been celebrated by people of all ages in several countries, in addition to the U.S. As more nations joined in the celebrations, Friendship Day came to be known as the International Friendship Day. 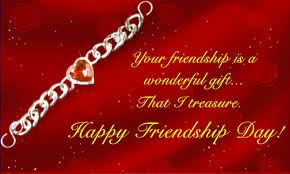 You don't need to give an expensive gift to your friend on Friendship Day, but a thoughtful present to your friends can brighten their day and make them feel important. Scrap Book- You can create a memory journal yourself by putting together a scrapbook of all of your thoughts about the lovely memories you share with your friends. You can paste photos of your friends in the scrapbook to make it a personalized gift for your friends. Photoframe - Alternatively, you can gift a photo frame with a cheerful photo of your friend along with you. Flowers- An interesting idea for Friendship Day gifts include a bunchof yellow sunflowers that symbolize the depth of your bond with your friend. Coffee Mugs- If your friend loves to drink tea or coffee, you may gift them a ceramic mug with floral designs and a messagethat conveys all the good wishes you have for that person.